Egyptian author and novelist Mekkawi Said died this morning in Cairo. He was 61. Mekkawi Said was born in Cairo, 6 July 1956. He launched his writing career during the 1970s. He is best known for his novel Taghreedat Al-Bag’a (The Swan Song), for which he was nominated for the Arabic Booker Prize in 2008. 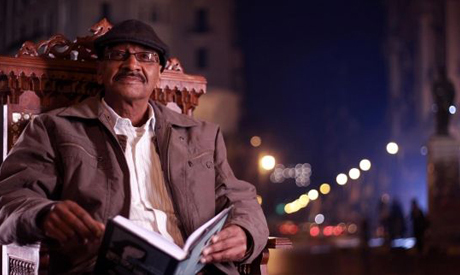 Said nurtured a lifelong love for Cairo's Downtown district, in which he himself was an icon. Said wrote several books set in the district, including The Swan Song, and his 2010 book, Moktanayat West El-Balad (Downtown Belongings). In the latter, Said weaves stories about Downtown's most unique areas, streets and cafes, using his distinct style to offer a detailed vantage on Cairo's busiest and most vibrant areas. In a recent interview with Al-Hayat newspaper, the author said: "Every capital in the world is a hub that attracts all kinds of people, and Downtown Cairo is Egypt's beating heart that has all kinds of contradicting characters. Here you will find all kinds of people: the intellectual, the foreigner, the one looking for opportunity, the artist and the thug, and through my pondering of all of these people, The Swan Song, was born — the work that I consider my luck trophy." Many of Said's works have been translated into English. He was also a publisher and a columnist at Al-Masry Al-Youm.